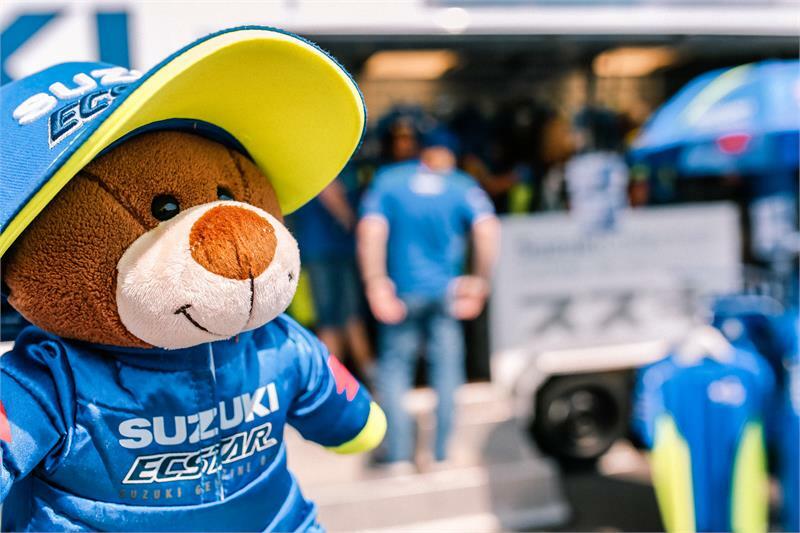 Team Suzuki Press Office – July 13. Suzuki’s former World 500cc GP Champion Kevin Schwantz jointed hundreds of Suzuki GSX-R fans at the Sachsenring MotoGP race today in Germany for the first day of a special three-day European Meeting to celebrate the iconic brand. Under perfect weather conditions, more than 300 dealers and customers visited the Suzuki Germany grandstand and hospitality area and enjoyed the catering during the practice sessions, and a huge number of fans joined the Suzuki legend during the autograph session this afternoon. Around 30 Suzuki customers also had a personal highlight experience by visiting the Suzuki pits and enjoyed lunch with the team. More than 500 Suzuki owners have already picked up their welcome packages including fan shirt and some goodies from Motul, NGK, Credit Plus Bank and Suzuki. Tomorrow, Suzuki Germany is expecting close to 400 people in the hospitality, where an autograph session with Suzuki MotoGP stars Alex Rins and Andrea Iannone and will take place.